Japan has some of the best food in the world. I’m talking about finger-licking, lip-smacking, and spine-shivering deliciousness. However, many restaurants in Japan don’t have an English speaking staff. Sure, you could use gestures and very simple English to your point across. Or you can follow these 7 steps and you’ll be ordering like a boss in any Japanese restaurant. When you first enter a restaurant, sometimes you’ll see an area with small lockers by the entrance. These are for your shoes. So take off your shoes and put them into a locker before stepping up into the actual restaurant area. Many lockers use a big wooden block, about the size of a deck of playing cards as a key. So be sure to take this with you after putting your shoes inside a locker. *Note: Most doors are either normal swinging or sliding doors. Once in a while you might see an automatic door with a big grey button where you normally would find the door handle. This is the button you press to open the door. Shoe lockers are usually found in casual restaurants, like izakaya (Japanese pub/taverns), but can also be found in some upscale restaurants. Some nicer Japanese restaurants will have Japanese tables where you sit on the floor. These places will usually have lockers for your shoes. Do I Seat Myself or Wait for the Staff? In most restaurants in Japan, you will be seated by one of the staff members. 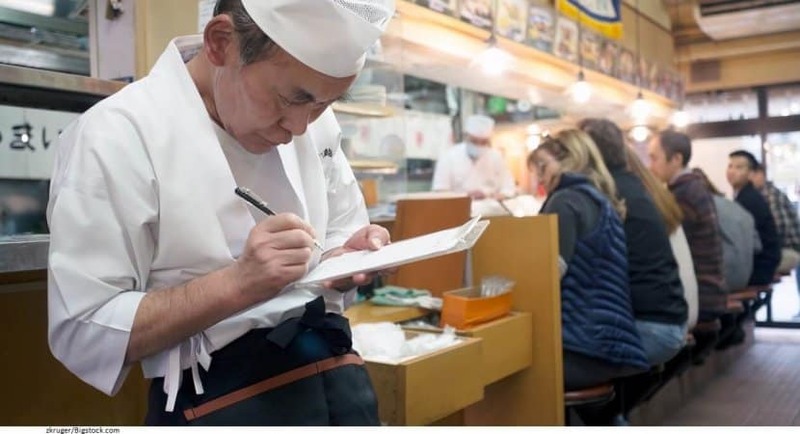 Even many casual restaurants like ramen shops will have a staff member to direct you to a seat. Only the most casual restaurants (McDonalds, beef bowls, mom and pop restaurants, etc.) will have self seating. You can either answer in Japanese using the counters for people, or simply show how many in your party with your fingers. So if you have two people in your party, you would hold up two fingers, just like giving a peace sign. Japanese people do this as well, so you can easily be seated without using any Japanese at all. Smoking or Non-Smoking? Type of Seating? 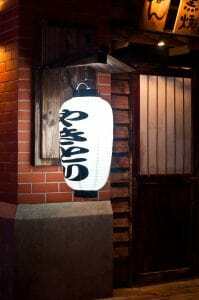 Most, but not all restaurants in Japan are non-smoking. Once in a while you may be asked if you want a smoking or non-smoking seat. There are quite a few smoke-free restaurants lately, so all you non-smokers can rejoice. You could just say “kinen seki“ for a non-smoking seat. Or you could add “onegai shimasu” at the end to be more polite. Example: Kinen seki onegai shimasu. When your server comes over, they will probably ask, “ご注文はお決まりですか (gochumon wa okimari desu ka)?” This means, “Have you decided on your order?” Just say yes (はい – hai) and then place your order. Sometimes your server will come over to your table to see if you are ready to order. But most of the time, you will need to call them over yourself. If you don’t, you could be waiting for an hour and half without anyone coming to check up on you (yup, that happened to me). To order in Japanese, just say the name of the dish followed by how many orders of it you want. For example, if you want 3 tempura sets, you would say “tenpura setto, mittsu (kudasai).” The “kudasai“ means please, and is optional. To learn how to count in Japanese, check out the Japanese numbering chart here. When you are finished placing your order, you say “以上(いじょう-)です(ijou desu).” This will let your server know you are finished ordering. In most casual Japanese restaurants, you can’t, or shouldn’t ask to make special dishes. I’m not saying you can’t make special requests. It is possible, but it is not a part of the culture and will probably be considered weird/rude in many restaurants. Some smaller mom and pop shops will probably try their best if you have any special requests. But if possible, try to be adventurous and try the dishes as they are. I don’t like / can’t eat ______. – ________ が苦手です。(_____ ga nigate desu). Example: I don’t like pork. – 豚肉が苦手です。(butaniku ga nigate desu). Of course, if you have any food allergies, it’s important to know what is in the dish that you want to order. Use this question to ask if a certain food/ingredient is in a dish you want to order. Step 6: Where’s My Order? The service in Japan is probably the best in the world, but it might be possible that your server forgot your order, or never took down your order in the first place. Or maybe you have been waiting for a long time and are wondering if your order is coming. In either case, just use this phrase and you’ll be good to go. 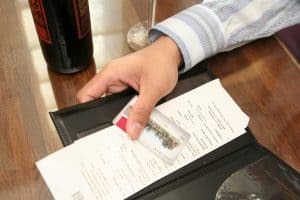 When you are ready to pay the bill, you need to get the check from your server. If there is a button to call your server on your table, you can use that. If not, say “すみません” (sumimasen) to call one of the servers over to your table. To ask for the check, say “会計お願いします” (kaikei onegai shimasu). 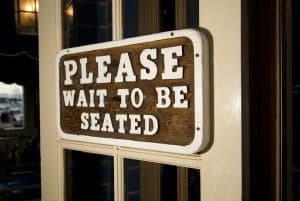 This means, “check please.” Some of the more casual restaurants will leave the check on your table after you get your order. Sometimes, there is a little shelf under or on the side of the table where the server will leave your bill. So check to see if it’s there first. 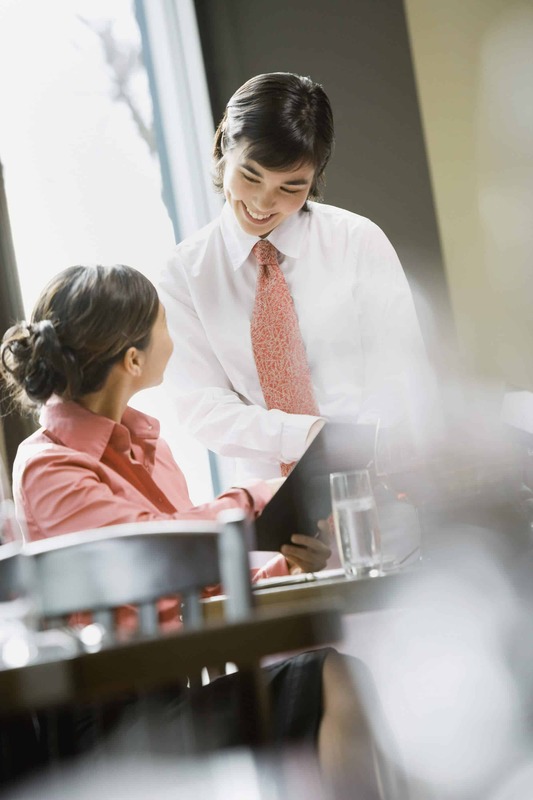 Once you get your bill, bring it to the cashier, which is almost always located near the entrance of the restaurant. **Remember that many smaller, mom and pop restaurants take cash only. If you eat in an upscale, hotel, or department store restaurant, paying by any major credit cards should be no problem (Visa and Mastercard). You don’t leave a tip at any restaurant. For many of you, especially from tipping countries like the USA, it might feel weird at first to not leave a tip. But tipping is not the custom in Japan. You don’t tip in restaurants, taxis, hotels, or pretty much anywhere. If you leave money on the table in a restaurant, the staff will think you forgot it there and may come chasing after you to return it. So don’t worry about leaving tips in Japan. It is becoming more common for people to give their change to taxi drivers, but they don’t expect it. 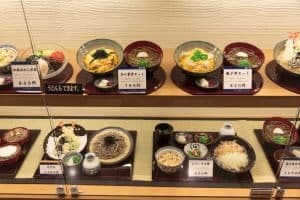 This is just a basic guide to ordering in Japanese restaurants, but the phrases taught here will enable you to eat at most restaurants in Japan. If you want to learn more and become fluent in Japanese, check out my #1 recommendation here. The online lessons there are excellent, and really took my Japanese to the next level. If you have specific questions or advice about how to order in restaurants in Japan, leave a comment below. Cheers! I didn’t know that some Japanese restaurants want you to remove your shoes and put them in a locker. Is this a common thing, or is it just a few? 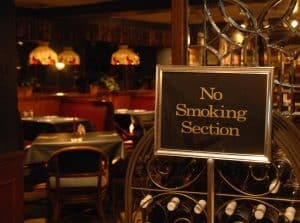 I do like how most are non-smoking, if a restaurant allows smoking then I can’t go there. The smell of peoples smoke makes me so nauseous. Hi Sarah! Yea there are quite a few restaurants in Japan that require you to remove your shoes upon entering. A lot of nice traditional Japanese cuisine restaurants, restaurants with private horigotatsu (floor seating with “holes” in the floor for you to put your feet into), or even some izakayas have shoe lockers by the entrance. I totally agree with you about the smoking. I know most bars and izakayas allow smoking, which I can kind of tolerate since they are drinking places, but it really bothers me when nice restaurants allow people to smoke. One example is the restaurant chain, “Ganko Sushi.” They have good food, nice lunch specials, and of course, a sushi bar. Not sure about all of the branches, but the one I’ve been to had people smoking at the sushi bar. Really? Smoking right in front of all those fresh ingredients being prepared for other guests? My pet peeve I guess.